The cool, cozy days of winter are here. The daylight has become shorter and the temperatures have begun to drop. Many of us have found ourselves staying indoors more frequently and avoiding the cold weather. As welcoming as the warmth of the indoors may be, it can also be a dangerous time of year. 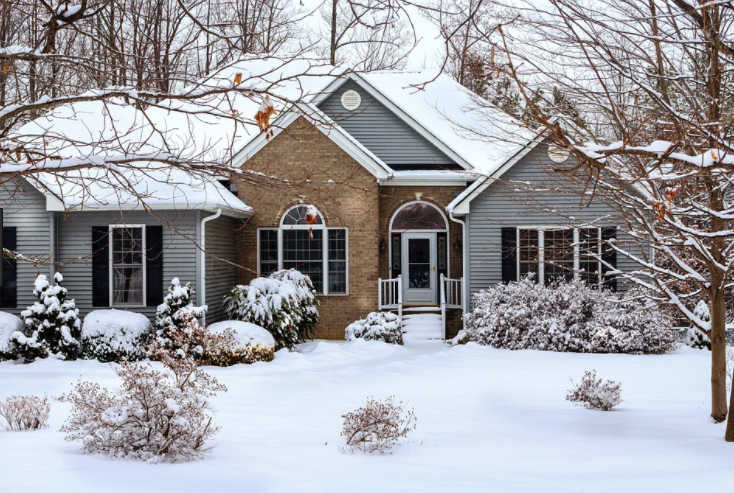 Researchers say that there are more fires within our homes during the winter months (November-February), than at any other time throughout the year. There are several things that we can do to ensure our homes are as safe as they can be, especially during this cool weather season. Below are a few ideas. During the winter months, more people are eating at home and preparing meals for entertaining or enjoying delectable comfort foods; however, fires in the kitchen are on the rise due to these activities. You can prevent electrical kitchen fires by making sure that your kitchen appliances are plugged into outlets that are GFCI protected (Ground Fault Circuit Interrupter). These types of outlets will immediately switch off electrical power to that outlet if there is a break in the power to that outlet. This could be caused by water that has come in to contact with the outlet or with a faulty appliance. Another project that is important to conduct annually is to have your heating system inspected by a professional. Home fires due to an outdated heating system or one with faulty wiring is another main cause for fires during the wintertime. A professional will be able to inspect your unit(s), and complete any repairs that are needed. Heating a home can also be dangerous with the improper use of a portable electrical heater, or a space heater. Follow directions carefully when using a portable heater. Although they can provide some much-needed heat in small spaces, they can be very dangerous if left unattended or placed too close to flammable items, such as curtains or upholstered furniture. As we seek warmth within our homes, some of us turn to electric blankets. These warming blankets can also be very comforting on cold, winter nights; however, if they are mishandled, then they can also pose a fire threat. It is recommended that electric blankets should not be folded or tucked in under a mattress. The winter season also brings threats of bad weather in the form of winter storms that produce sleet, ice, snow, and freezing temperatures. With these storms, there is always the possibility of fallen power lines. If you see a power line that has fallen on the ground, do not drive over it or go near it. Instead, call Emergency 911 or the local power company and report the downed power line. It is important to stay away from the power line until you are positive that all power has been disengaged from the line. In conclusion, the winter season is a wonderful time of year, but it is important that we all take some precautions in order to provide for a safe, cold season. As we all attempt to stay warm, enjoy winter festivities and holidays, and enjoy the natural elements of winter weather, keep in mind that safety should come first, always. Contact Advanced Electrical Company with any questions or concerns you may have regarding electrical safety in your home.